This October, some of northeast Indiana’s finest are putting on their dancing shoes to support Positive Resource Connection during the 30th annual Dinner Dance. Beginning in 1989, this annual event is a long-standing tradition of supporting the fight against HIV/AIDS, and an all-around good time for attendees. 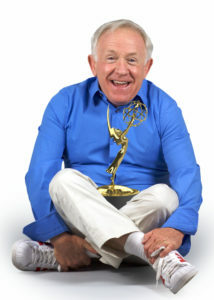 Joining us this year as celebrity headliner and co-emcee (along with NBC’s Tom Powell) is Emmy-Award winner, Leslie Jordan, famous for roles in Will & Grace, American Horror Story, and movies such as The Help and Sordid Lives. Having conquered the international stage, he remains an in-demand mainstay as a performer, voice-over artist, and spokesperson. A staunch supporter of equal rights and all-around Southern Baptist celebutante, we’re glad to welcome him to this year’s event. It wouldn’t be possible without the help of so many talented individuals who are pitching in. Deb Overcash, Dinner Dance committee chair, is especially proud to work on this year’s 30th anniversary Dinner Dance, an event that has raised over $700,000 for Positive Resource Connection in its lifetime, and has seen as many as 1,300 attendees in a single year. “I am proud to be a long-term member of the Dinner Dance committee, knowing the money we raised has helped numerous people with HIV and AIDS, and helped educate our community while debunking myths about the disease,” says Deb. When the Dinner Dance first started, it was much smaller. Leonard Helfrich, committee chair of the very first Dinner Dance in 1989, remembers when there were only 74 attendees at the Fort Wayne’s Woman’s Club, where the event was first held. The goal was to create an event where people in the LGBTQ community could dress up and enjoy a nice dinner with their date in a public space. It didn’t hurt that in doing so, they increased the visibility of the lesbian-gay community in Fort Wayne. The next year they moved to the Grand Wayne Center, but not without some trouble. As the event grew, publicity became a difficult topic—”gay” and “lesbian” weren’t popular terms and were initially omitted from marketing materials for fear of backlash. The committee wasn’t willing to back down, and finally the event was listed as the 2nd Annual Lesbian-Gay Dinner Dance. After only ten years, the event drew a crowd of more than 1,000 people. This year’s event is true to its roots, welcoming anyone in the community to join in the fun. New this year, you can purchase tickets entirely online and bid in the silent auction from the convenience of your smartphone. Set max bids for items you’re interested in, register for express checkout and let your phone do the work for you. The live auction will still be held with traditional paddles. The 30th annual Dinner Dance will be held at the Grand Wayne Center of Fort Wayne on October 6th, 2018. A VIP reception begins at 5pm and event doors open at 6pm. Tickets start at $20. To purchase tickets to the 30th annual Dinner Dance, click here.